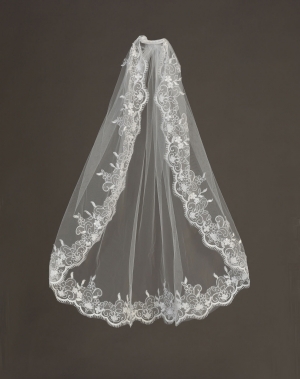 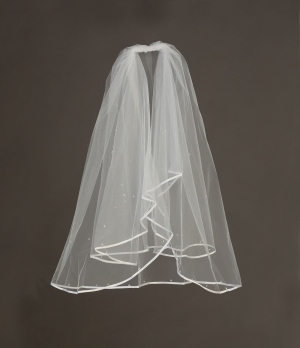 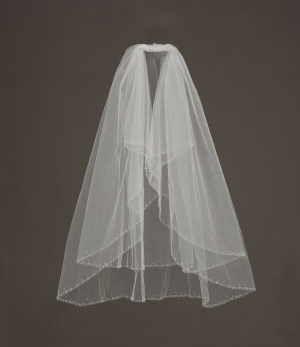 Gorgeous womens bridal veil made with exquisite bridal quality. 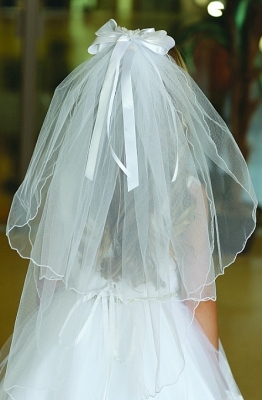 Veil is attached to bridal comb to secure into hair. 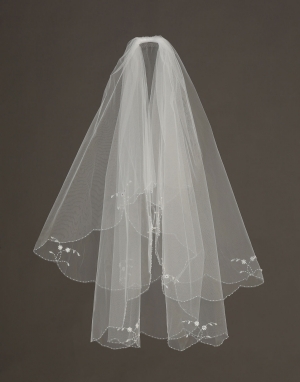 Look closely at this veil to see all of the beautiful details. 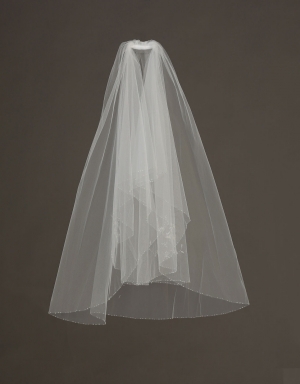 Veil dimensions are 30" inches L1 x 36 inches L2 x 72 inches W.